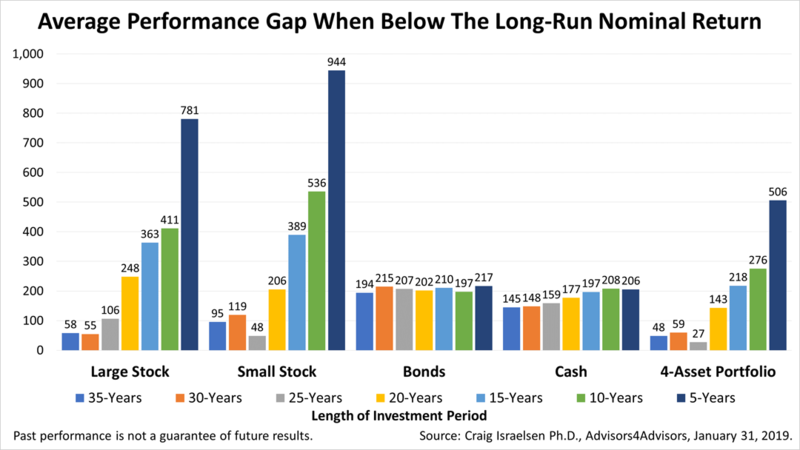 How long does it take to become a long-term investor? Past performance is not a guarantee of your future results but ignoring history is unwise. 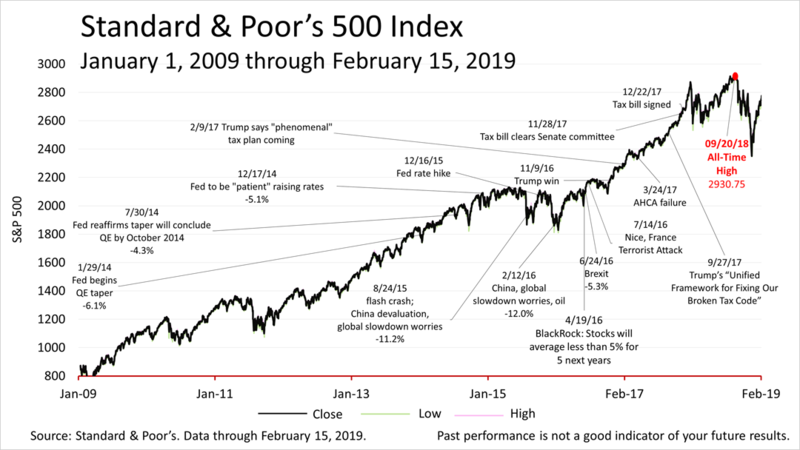 According to Craig Israelsen, Ph.D., an academic whose research we license, over the last 93 years, the four major asset classes — stocks in large and small companies, 10-year U.S. Treasury bonds, and 90-day Treasury bills — through the end of 2018 offered returns and risk levels as shown. The period encompasses all of modern Wall Street history, some of the best statistics for understanding investing. Owning stock in large U.S. companies averaged a 9.99% return nominally, which is economic-speak for saying "before adjusting for inflation." Since 1926, and through December 31, 2018, there were 59 35-year rolling calendar-year periods of returns. Shown in this chart is the percentage of times over the 59 35-year rolling calendar-year periods from 1926 through the end of 2018 that each asset achieved the 9.9% average annual return. 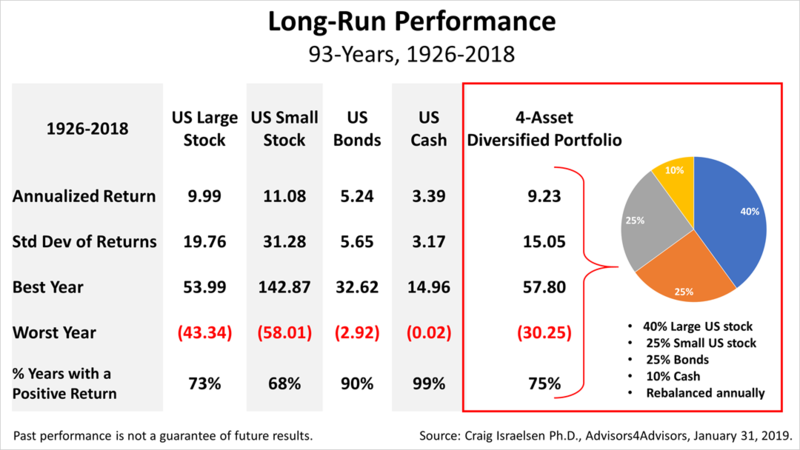 According to Israelsen, the 9.9% return of large company stocks was achieved 92% of the time with a 35 year-holding period since 1926, but in just 57% of the five-year rolling periods since 1926. The four groups of bars on the left show the performance of each individual asset class. A portfolio combining the four assets is on the right. 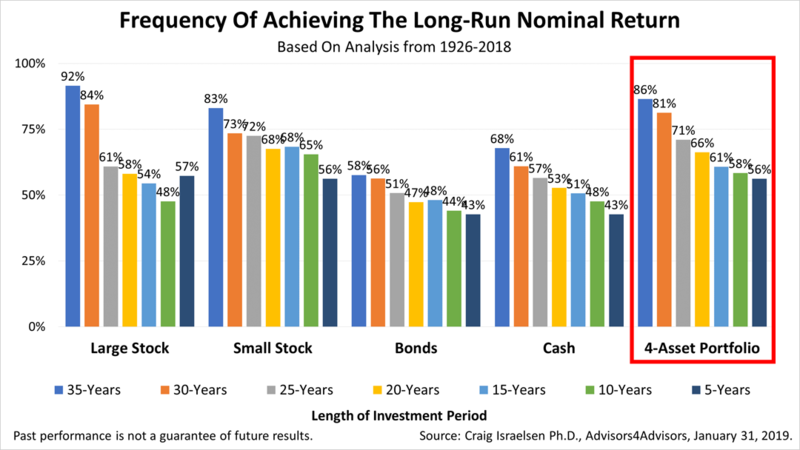 The longer you hold your investments — the longer your horizon, your holding period — the more likely you were to achieve a long-run return. Keep in mind, holding large-cap stocks 10 years versus 35 resulted in a lower-than 35-year holding period 57% versus 92%, but the difference in returns was not so far off. On the flipside, if you failed to achieve the long-run return, in the case of large U.S. stock, what was the performance gap when an investor did not achieve a return of 9.99%? The tallest dark blue bars are on the right side of each cluster represent five-year holding periods. If your holding period was only five years, your average annual return was 781 basis points — 7.81% — annually lower over all of the rolling five calendar-year periods since 1926. In the 43% of the time that failed to achieve a 9.99% or higher return, the performance gap was 781 basis points. That shows the shorter your time frame, your holding period, the more likely you are to really miss the long-run return. If you held for 10 years, you were below the long-run return by 411 basis points. If you hung in there for 35 years and you did not achieve the long-run return, you only missed it by 58 basis points. The past showed the longer you stayed in, even if you don’t achieve the long-run return, you missed it by less by holding longer. The Standard & Poor’s 500 stock index closed at 2,775.60, 2.5% higher than a week ago and the third straight weekly gain, just 5% from its all-time closing high on September 20th, 2018. The S&P 500 index, a key growth component in a broadly diversified portfolio, suffered a 19.8% plunge from September 20th’s all-time closing high to the Christmas Eve closing low of 2,351.10, and then it rebounded. Large-cap US equity represented by the S&P 500 Index. ; Small-cap US equity represented by the Ibbotson Small Companies Index from 1926-1978 and the Russell 2000 Index starting in 1979. U.S. Bonds represented by SBBI US Intermediate Government Bonds from 1926-1975 and the Barclay’s Capital Aggregate Bonds Index from 1976-2018; Cash represented by 3-month Treasury Bills. This article was written by a veteran financial journalist based on data compiled and analyzed by Craig Israelsen, Ph.D. While these are sources we believe to be reliable, the information is not intended to be used as financial or tax advice without consulting a professional about your personal situation. Indices are unmanaged and not available for direct investment. Investments with higher return potential carry greater risk for loss. Past performance is not an indicator of your future results.